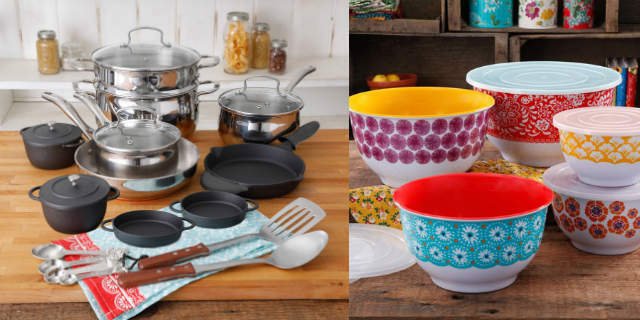 Pioneer Women Nesting Bowls Only $24.50 (Reg $50) + MORE Clearance Deals! Stock on up Pioneer Woman’s products! Have you wanted Pioneer Woman cookware? If so, head to Walmart.com and check out a ton of clearance deals on a variety of products. Save on cookbooks, mixing bowls, tea kettles, dinnerware sets, and more! Isn’t that great?! You will not want to miss out on this great savings opportunity. Be sure to let us know what deals you’ve been finding, because we’d love to know. Previous articleRare IKEA Coupon – $25 Off $100!